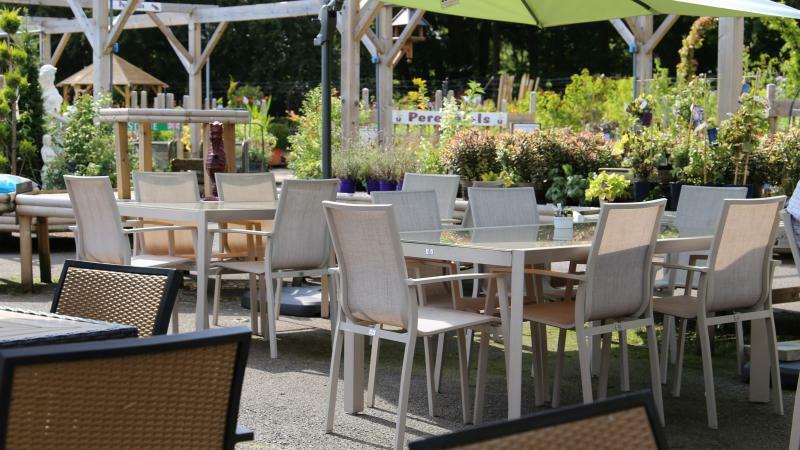 Now fully on the agenda for local shoppers, walkers and thousands of weekly tourists alike, Frensham Café Bar can seat up to 60 people inside and a further 30 people outside with beautiful views of our outside plant area and the Bourne Woods beyond that. 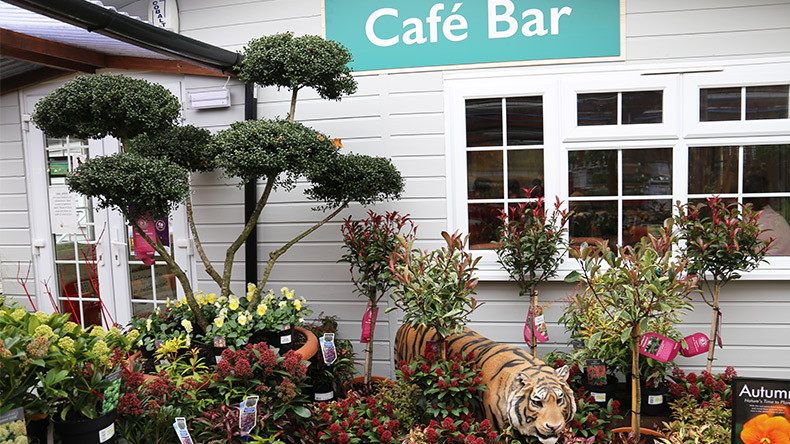 Make the most of our outside seating area and sit among the most amazing array of baskets and flowers in full bloom. 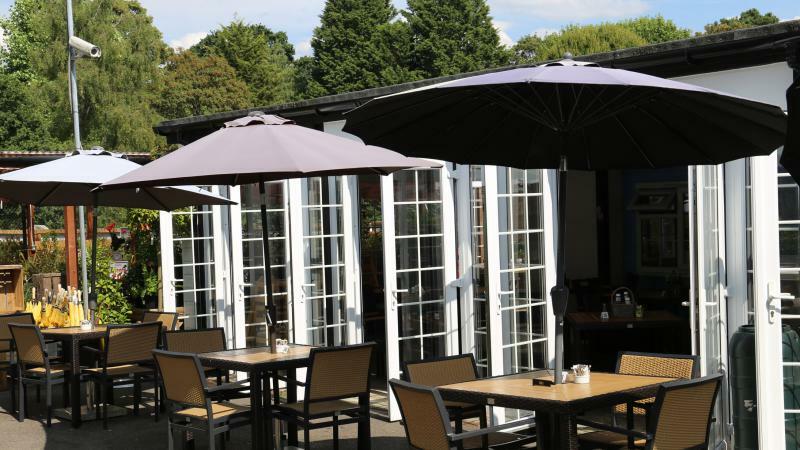 You’ll find comfortable seating with parasols for sunny days and patio heaters to take away the chill of autumn afternoons. Our five star rating for hygiene supports the praise that we regularly receive from satisfied customers. 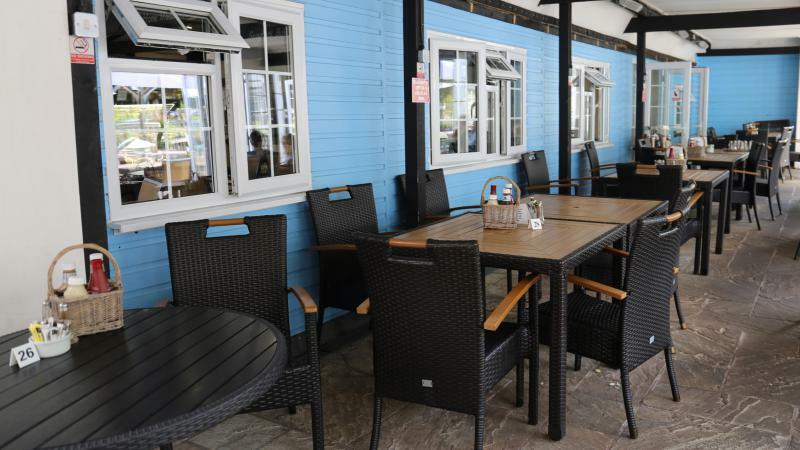 We believe we have created the ideal place for lunch, with a beautiful setting alongside our high standard of food and staff. Our varied menu offers a wide range of sandwiches, chiabattas and jacket potatoes, with the most unforgettable and mouth watering toppings. Not forgetting our choice of hot, lunchtime meals such as ; Wiltshire ham, egg and chips and our infamous Burger. 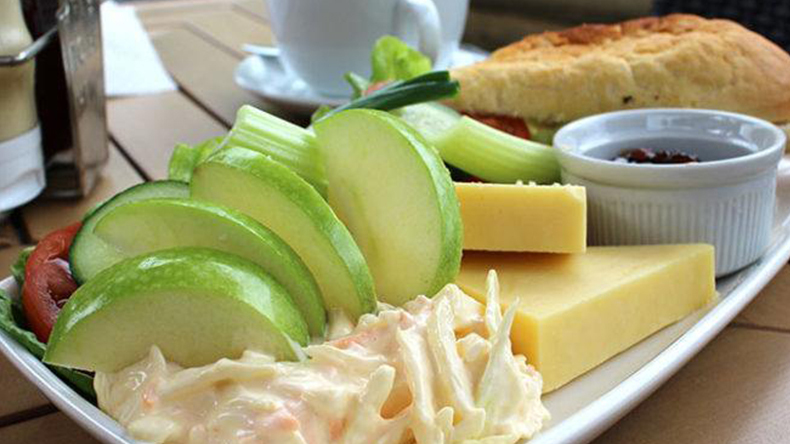 We use only the best top quality produce from Tony Warner Butchers concession located here at the Garden Centre. Rest assured that whether you visit alone or with friends and family, we will have whatever it takes to satisfy all appetites. Please note that 24 hours prior notice is required for Groups of 10 or more in Café Bar. Thank You. We are committed to offering you top quality food and continually strive to bring you the best in the most congenial surroundings. Here is our breakfast menu for you to browse, which includes a full English, lighter breakfast bites and drinks. We are committed to offering you top quality food and continually strive to bring you the best in the most congenial surroundings.